Autumn is now well and truly upon us. While you may find yourself lamenting the loss of summer whites and rosés, Ideal Wine Company has plenty of recommendations to carry you through these shorter days and longer nights. This week, we bring to you five of our favourite wines for the autumn season. We’ve picked the best wines for the upcoming autumn months. These Italian and California red wines are the perfect start to your autumn collection. Both originating from the same grape, these two wines share many similarities. In their richer styles, with ABVs over 15%, the predominant flavours are jam and smoke. With notes of cinnamon, raisin, chocolate and tobacco, this wine is autumn in a bottle. With California producing an array of delicious primitivo and zinfandel wines, regions to look out for include Lodi, Napa Valley, Sonoma Valley and the Sierra Foothills. Arguably one of the most autumn-ready wines, Grenache is the obvious choice for this season. Character varies from region to region, with dried strawberry and herbs prominent notes in France and Italy and raspberry and clove being key in Spanish, Australian and American varieties. While there are changes between regions, the wine itself remains delicious no matter what. It’s hard to go wrong with this wine, but regions to particularly look at are Châteauneuf-du-Pape, Cannonau, Paso Robles, Columbia Valley, South Australia and Aragon. Following on from Grenache, Rhône and GSM (Grenache-Syrah-Mourvèdre) blends provide a more robust take on those berry and clove notes. With additional flavours of lavender, baking spice, and green herbs, this wine is perfect for the colder nights. Great regions to look out for are Côtes du Rhône, Priorat, Central Coast California and Columbia Valley. As many producers are reinvigorating old vineyards, Carignan is finally starting to shed its low-quality reputation. This affordable medium-bodied red is perfect for the autumn season. It is known for its cranberry, cured meats, and baking spice flavours. As this wine pairs so well with foods synonymous with autumn, such as turkey and root vegetables, it has been called its own ingredient in seasonal dishes. Regions to look out for include Languedoc-Roussillon, Central Chile, and Carignano del Sulcis-Sardinia. In addition, as Carignan vines are productive, try to seek out old vines where you can. Autumn isn’t just the season for red wines, this is also the time to enjoy a full-bodied white wine too. With notes of honey and almond, this Bordeaux grape is often blended with Sauvignon Blanc. In doing this, an otherwise lush and mouth-filling wine welcomes a new invigorating hint. This makes a perfect choice as a pour for the autumnal dark green vegetables, as well as pairing well with root vegetables. 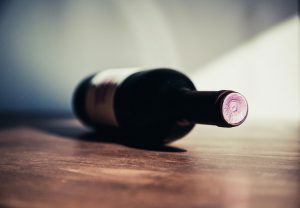 When looking to buy this wine, find one with some age or oak on it, and look out for wines made in the regions of Pessac-Léognan, Napa, Sonoma, South Africa, and Columbia Valley. Visit Ideal Wine Company's profile on Pinterest.